Some 85% of Ukrainians were users of smartphones as of late H1 2018, which was 3% more than a year ago, the OLX announcement service has said in a press release, referring to a study by GfK. “Last year in Ukraine there were only 82% of smartphone users, now their number has reached 85%, while, according to statistics, each consumer on average owns three or four gadgets,” GfK said in the study. According to the research company, in the first half of 2018, 50% of Ukrainians sought information about the desired product from a mobile phone. Meanwhile, according to forecasts of the research company eMarketer, by 2021 the share of mobile purchases in the global e-commerce market will amount to 72.9% of all sales. According to data provided by the OLX press service, in 2018, 50% of the Ukrainian Internet audience visits the Ukrainian OLX trading platform least once a month, with 60% of them using mobile devices for this purpose. 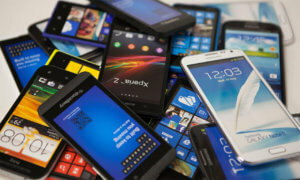 At the same time, according to reports of the three largest mobile operators in Ukraine, the penetration of smartphones in their networks is the following: Kyivstar as of July 1, 2018 – almost 50%, Vodafone-Ukraine in the first half of 2018- about 60%; and lifecell – as of the end of the second quarter of 71%.